Any day now, the Senate will vote on two Cabinet nominees who would both be disastrous for women’s health. 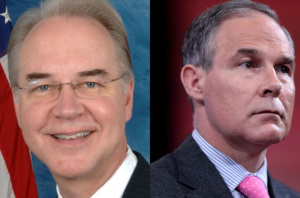 NOW is the time to contact your Senators and urge them to do everything in their power to block the confirmations of Tom Price to lead the Health and Human Services Department (HHS) and Scott Pruitt to lead the Environmental Protections Agency (EPA). Click here to use our new action tool to write and call your Senators AND contact them on social media! Calling is a particularly effective way to ensure your Senators hear your opinion. And if you did already, please spread the word! It’s been clear since day one that these nominees’ stances on healthcare and environmental toxins would harm women at risk of and living with breast cancer. And the confirmation process for these two nominees has only deepened our objections. Since his hearings, Tom Price has come under renewed scrutiny for buying discounted stocks in pharmaceutical and medical-products companies that stand to benefit from legislation he endorsed or introduced. We need a leader at HHS who will put patient interests front and center, and Tom Price has made it abundantly clear he is not that leader. Meanwhile, Scott Pruitt is being sued because he’s refused to disclose his ties to the very industries he would be regulating at the EPA (not to mention that he wants to actually dismantle the EPA.) This week, a bipartisan group of more than 400 former EPA employees sent a letter to all U.S. Senators urging them to oppose Pruitt. 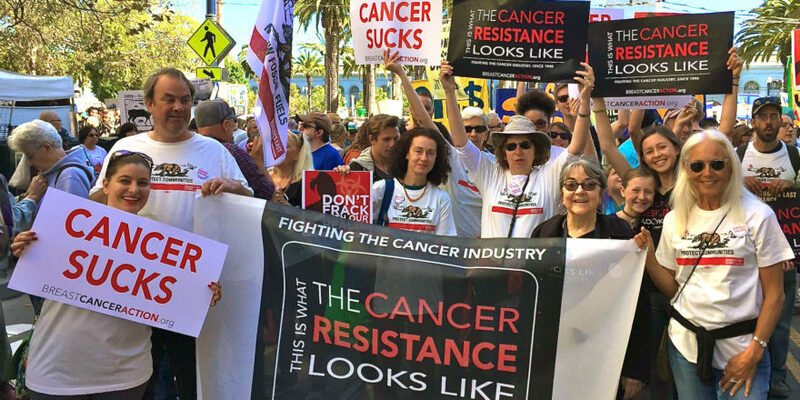 We’re part of a growing movement of people across the country standing up against these nominees who would put corporate and personal profit before public health. ← Variety Show on Thursday, Feb. 9th – Get Your Tickets!